Numerous rumors have been trending with respect to the release of the next Samsung Galaxy Note phone. 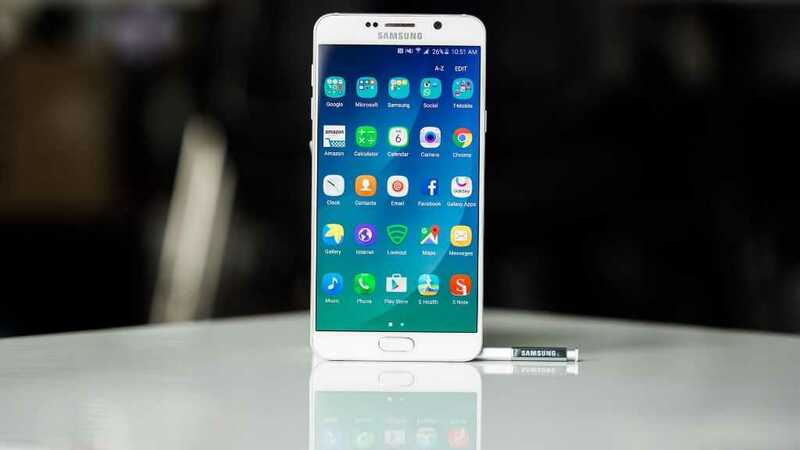 Some have suggested that the phone will be dropping the expected Galaxy Note 6 naming in favor of Galaxy Note 7 while the most recent speculations have been pointing towards a curved edge model for the 2016 Galaxy Note. Well, as it appears, it seems the latter group has it as a new leaked image just about confirms this. Apparently, the South Korean tech giant will be coming in with a dual-edge screen model of the Note. In addition, it seems confirmed that the next Galaxy Note’s naming will be in harmony with the likes of Galaxy S7, S7 Active, and S7 Edge. Reliable leaker, Evan Blass, had pointed out earlier that Samsung Galaxy Note 7 Edge will be here in early August. While there was no initial date for this phone’s release, we now have a confirmed date of when we can expect the company to announce this phone. August 2 is the day that Samsung will hold an Unpacked event at New York’s Alice Tully Hall, Lincoln Center. It is during this event that the new Samsung Galaxy Note 7 Edge will be announced to the world. The fact that the leaked image comes with the words “The next edge is just around the corner” are an indicator that we should be expecting a new Samsung Galaxy Note 7 Edge. As for the “7” in the phone’s name, the image has five curved lines that are shaped like the number 7. This, however, doesn’t rule out the fact that there might be a flat screen Samsung Galaxy Note 7 released alongside this dual edge variant. It is possible that the Korean company might be taking a similar direction as what happened with 2014’s Samsung Galaxy Note 4 and Galaxy Note Edge. While the leaked image shows us almost everything we need to know about the name of the next Galaxy Note phone as well as its release date, it says nothing about the expected spec sheet of the phone. Still, we are adamant that the device will pack a 5.8-inch QHD display that is supported by a Snapdragon 823/Exynos SoC, a RAM of 6GB, and a battery unit of 4000mAh. It is also rumored that Samsung will include an iris scanner on the upcoming Galaxy Note 7 Edge as well as support for the elusive USB Type-C.